A couple of cards today using the same layout, just in slightly different colorways. These cards have a bit of dimension, but should easily mail to your Valentines. 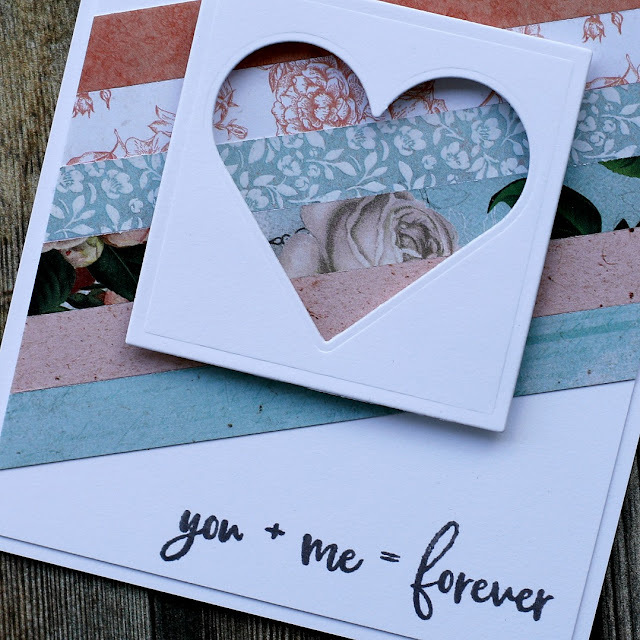 Both feature Stamp Simply's clear Farmhouse Simple Sentiments...love the font and +/= ! The first design is made with Kaisercraft "Fairy Garden" decorator paper. LOVING the soft colors in this paper pad! To note: ALL Kaisercraft papers are on sale now--reduced 25-50% off! I cut the base from Coredinations White Cardstock, and then cut a slightly smaller panel to mount upon it. I layered strips of the decorator paper at an angle on the panel using Scor-Tape. 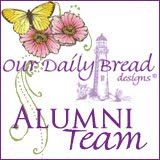 The sentiment was stamped using a Tonic Stamp Platform and Versafine Smokey Gray ink. 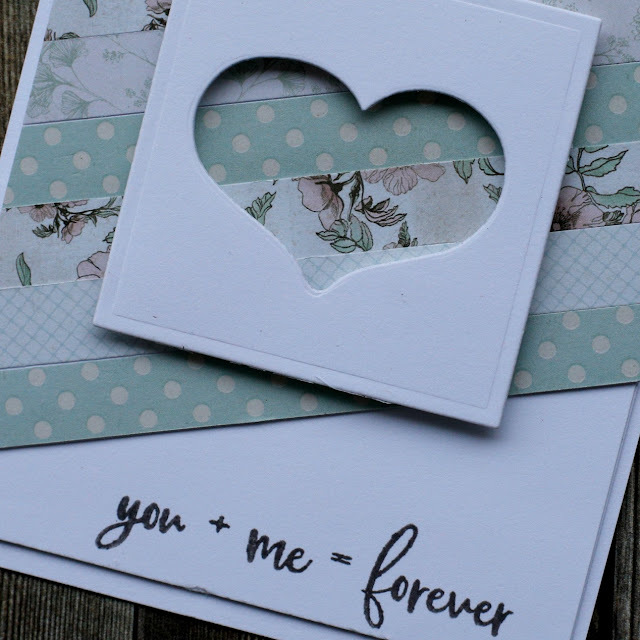 The heart panel was also cut from white cardstock using a Stamp Simply's Pierced Nested Heart die. To finish, it was mounted on the angled stripes using Thermoweb 3D Foam pieces. The second card is made up the same, using same supplies with the exception of the decorator paper from my stash--Kaisercraft's "Ooh La La" and a Spellbinder "Classic Hearts" die. Which colorway do you prefer? Hard choice for me, but my first pick would be the softer colors in this instance. 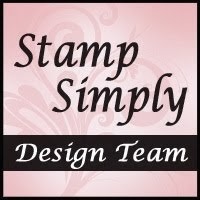 I also prefer the Stamp Simply Heart die used on the softer colored card...I feel that it fits the farmhouse style of the sentiment. Thanks for stopping by! Hope you stay warm this weekend! Nice post. I really enjoy reading it. Very instructive, keep on writing. Thank you Clipping Path! I appreciate your kind comment!